We are excited to announce the arrival of the HFG mobile app for iPhone and Android. 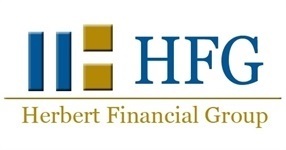 The app is a free interactive tool that allows users to easily access and discover the many layers of holistic financial planning provided by HFG directly from their mobile devices. The mobile app builds upon HFG’s corporate mission of developing meaningful, long-term relationships with our clients by providing you with a full-service experience from the moment you make contact with the firm. Part of that experience now includes making HFG available at your fingertips. The app will offer users on-the-go access to financial news and video presentations, including timely information on economic trends, investment ideas and changes in the marketplace. In addition, users will have the ability to easily send and receive secure messages with the team, access your accounts and receive push notifications to stay-up-to-date regarding upcoming events and exciting announcements from the firm.